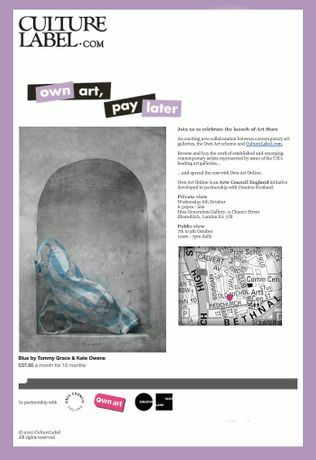 An exciting new collaboration between contemporary art galleries, the Own Art scheme and CultureLabel.com. Browse and buy the work of established and emerging contemporary artists represented by some of the UK's leading art galleries... ...and spread the cost with Own Art Online. 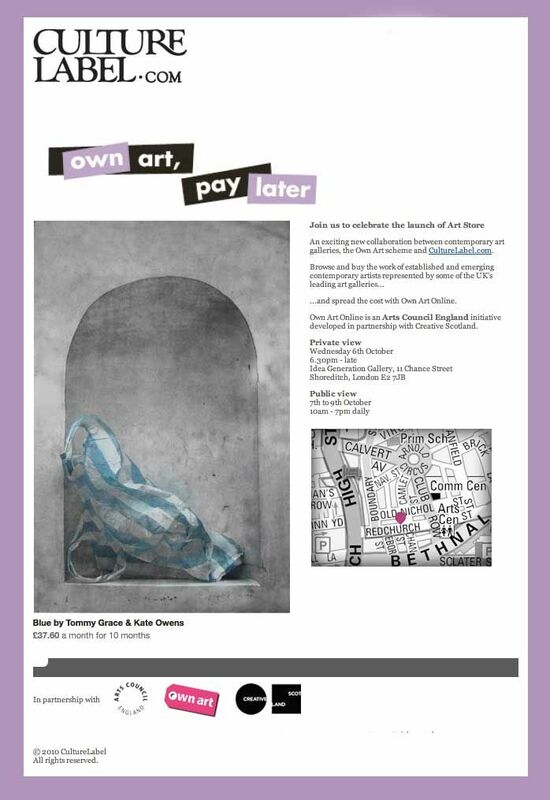 Own Art Online is an Arts Council England initiative developed in partnership with Creative Scotland.